It was first introduced to the United States Armed Forces when they entered the war late in 1917. The United States government initially purchased some 400,000 helmets from Britain. 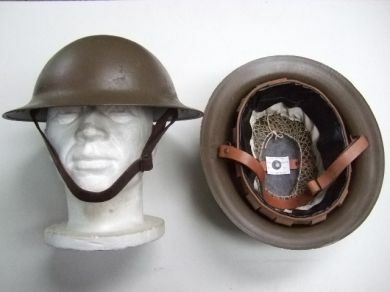 From January 1918 the U.S. Army began to use helmets manufactured in the U.S. and these helmets were designated M1917. None of the steel helmets were intended to protect against bullets, but aimed at reducing head-wounds from shrapnel. 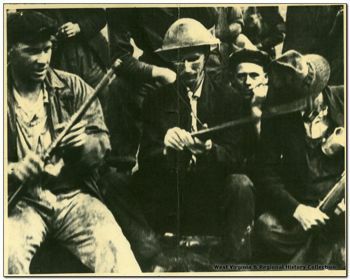 These sorts of helmets can be found in a number of original photos from the era by the miners and members of Chafin’s militia since many of them were veterans of the First World War.